Does it seem as if time is slipping through your fingers? There always seems to be so much to do. We have so many different things competing for our time and attention. There are errands to run, places to be, and extra curricular activities to fit into our overcrowded schedules. Before you know it another day has gone by and you still haven’t got everything done. 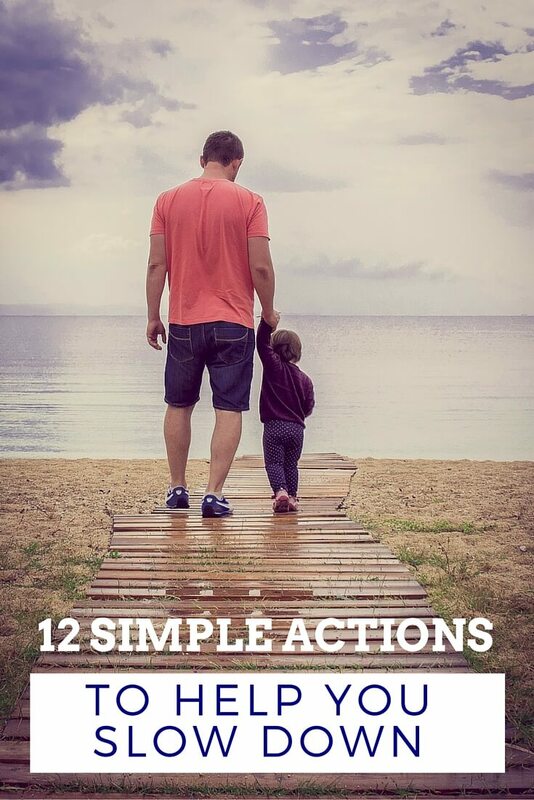 You know there’s more to life, You want a deep, connected relationship with your kids. But the schedule is so full and you are pulled in so many directions. What if we stopped being afraid? What if we slowed down today? 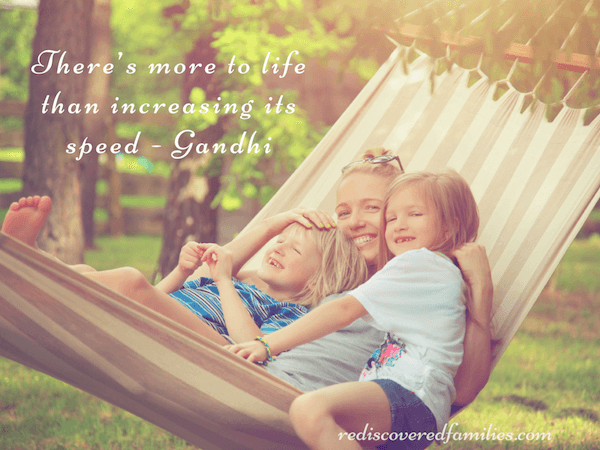 When we slow down we don’t stop doing things and we don’t neglect our families. We don’t miss out on anything important. In fact the opposite happens. We have time to embrace what is really important. We create space to hear and respond to our own internal needs. We can hear the needs of others we love and cherish. We release stress that harms our bodies and our minds. We can be present with those we love. AHHHHH doesn’t that sound better? What if we slow down? What if we start today? List your time commitments outside of the family; underline the ones that energize you and fill you joy. Make arrangements to graciously give up one of the others. Make a to don’t do list . I promise that the world will not end if you say no. Toss the to do list and go play with your kids . Let them take the lead. Learn from them. They instinctively know how to slow down and be present. Limit your time on social media (NOTE to self- this one is for you). I am the first to admit that slowing down isn’t easy when our responsibilities are so great. Slowing Down is hard when our to do list screams out its list of demands. But we can do it one baby step at a time. We can do it together. Let’s reject busy, slow down, and start enjoying what’s really important. Are you in? I’m going to work on #9 Limit social media. Which action you will choose? 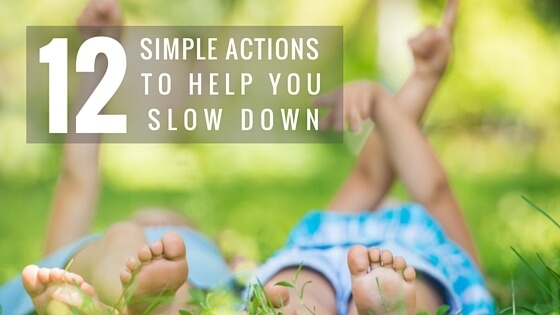 You can find some helpful posts about slowing down here. Slowing down is so hard to do, but important. Last weekend hubby and I went to Barcelona for a long weekend together, we had no plans and ended up just wandering, soaking up the ability to just be together, with no agenda and it was wonderful. Lovely ideas, Sharon. I definitely with you. I like #6: sit and do nothing for awhile. There are so many things on this list that I need to do. Social media is definitely one of them, I get so many notifications through on my phone I think I just need to switch the internet off and ignore my phone for a while. Love the idea of planting something, we actually do have some seeds that need planting.